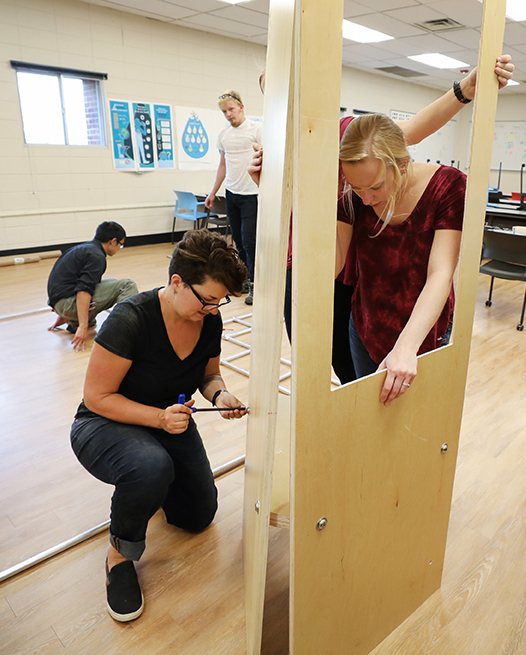 Interior Design, Graphic Design, and Engineering Drafting & Design students collaborate on new College initiative. 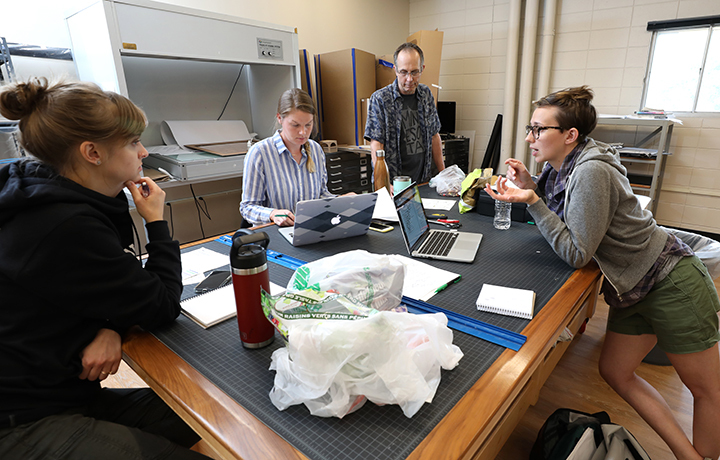 A group of Dunwoody Interior Design, Graphic Design, and Engineering Drafting & Design students are working together this summer to create a large-scale display for the Minnesota Department of Health. Conceptualized and executed by Dunwoody students and department faculty, the graphic-covered wooden-panel was designed to answer questions regarding the health and safety of the State’s drinking water as well as its origin. 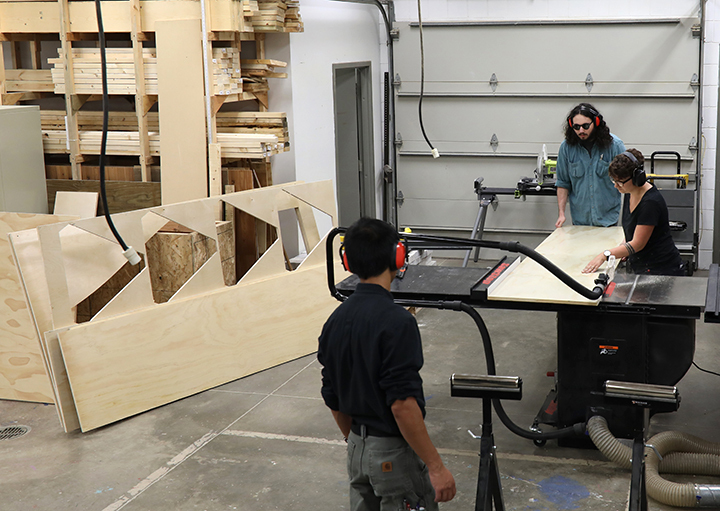 The piece will be displayed at the Minnesota State Fair in Falcon Heights later this month. It is the first of a five-year contract with the State of Minnesota. 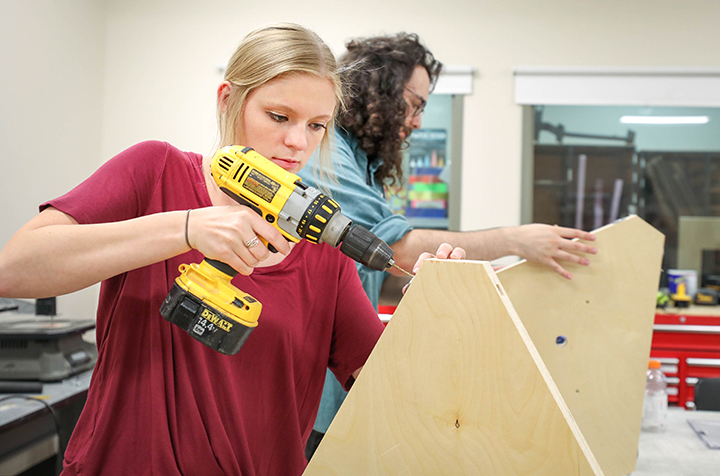 Interior Design Senior Instructor Korrin Howard shared that the reason this project has been so successful is because of Dunwoody’s long legacy of students who learn by doing. “It’s really important to have that hands-on ability when you are designing,” Howard said. Graphic Design student JD Loyle said he jumped at the opportunity to work on the project – something he has done often at Dunwoody to gain real-world experience. Loyle shared that this particular collaboration has even allowed him to pick up skills outside of his program. Graphic Design student Emily Hanson has also found the opportunity beneficial, saying it has been a good one to hone skills. “It’s been a great chance to be able to make connections…cross-departmentally, within your department, and working with a big entity like the State,” she said. She looks forward to seeing their work on display at the Fair while walking around enjoying a Pronto Pup. “I’ll be excited to see all of it come together,” Hanson said.